Please use the Order Form to make a purchase. The full commentary of the Gospel of Thomas (Logion 1-114) is available with new indexes and other guidelines to help the serious seeker of this important, early Christian text. It is now understood that this collection of sayings found in Thomas’ Gospel is an early, oriental and independent stream that came from the communities that received the teaching of Yeshua through his student, Thomas. Because fifty percent of the sayings are new to us they afford us a fresh approach to the teachings of the wisdom Master. This commentary provides an in-depth examination of that wisdom stream. It is meant to provide support for both individuals and groups who seek a more complete understanding. The entire text of the Gospel of Thomas is explored through this in-depth, spiritual commentary that looks not only at the historical-critical issues, but more importantly at the contribution that Thomas makes to the early wisdom traditions of Christianity, and particularly those streams of wisdom that flowed from the lips of Yeshua and his followers and East into the Oriental and Aramaic speaking worlds. It is clear that Thomas the Apostle listened deeply to the words and wisdom of Yeshua and stored in his own memory those sayings that were of utmost importance to him. That independent oral collection was then carried into the lands and communities of the East which treasured the Thomas tradition all the way to India and China and influenced all the communities in-between from the Syrians to the Persians, and then including the Kingdoms of Northern and Southern India, Nepal and Tibet, and on into the western lands of China. Yeshua’s wisdom is fresh and living, and comes to us anew through these sayings, half of which are new to western Christianity. Each Logion in this volume is supported not only by the commentary, but by questions for personal and group inquiry and reflection, as well as material across traditions which address the sapiential teachings of these sayings. The effect is a multi-layered hyper-text much in the same tradition of commentaries like the Talmud which allow multiple insights and interpretations to live side by side to encourage further exploration and reflection. The extraordinary discovery of the Nag Hammadi Library and other early Christian documents over the last century has sparked a revolution of understanding. We can now imagine the possibility of moving from the Christian Gospel as dogmatic tradition about Yeshua, to the teachings of Yeshua as a wisdom tradition. That is truly "good news." These early texts give us another view, one that is luminous with insight. Open these pages and enter a new world of early perennial wisdom. As you enter their world, you are invited into a way of knowing that is essential for receiving the gift of wisdom. This concise edition of just the Psalms themselves, without notes or meditations, is small enough to be carried for personal use. It contains the same poetic translation as the larger text in a beautiful new font and cover that complements the original text. These songs and prayers are the heart-felt cries of men and women as they journey across the troubled landscape of our world. This is an entirely new translation of the Psalms in the form of contemporary poetry with historical notes and meditations. There is something healing and restorative about poetry. It is medicine to the soul, and music to the human spirit. Without it we live thirsty in a desert land. Poetry springs from deep within. It may have been the original form of sacred wisdom. The Hebrew people dared to utter the contents of their hearts in prayer, and the prayer became pure poetry. This fresh translation seeks for the music as well as the meaning of the text. This resource for contemplative prayer is being made available for individuals in their private life of contemplative prayer, but more especially for leaders of contemplative prayer gatherings. In it are multiple sections with guidelines, instructions, templates and examples for the use of Acclamations, Chants, Prayers, Canticles, Liturgies of Morning and Evening Prayer and Eucharistic celebrations, and finally, a sections on Blessings. Each section contains extensive material collected and edited specifically for use among those who are experiencing and exploring the many dimensions of contemplative prayer. This and its companion volume Recitations are twin-wire spiral bound. The poet's message is a prophetic voice sent into our modern world to bring us news of ourselves and of Ultimate Reality. When the poet speaks we are hearing the angelic voice guiding the spiritual pilgrim across the fierce landscapes of this world toward humanity's destiny and homeland. The poetry in this volume has been selected from across traditions and focuses upon the heart of mystical and contemplative experience. Each poem has been edited and arranged for use in public gatherings for contemplative prayer as well as for private prayer and meditation. From thousands of poems that have spoken to the mystery of the wisdom Jesus here is an anthology selected by Blake Burleson with an accompanying commentary by Lynn Bauman. This anthology is based upon the sapiential teachings of Jesus found in the canonical Gospels and the recently discovered Gospel of Thomas. Each is a reflective poem, meant to be read and listened to in a deep contemplative space. 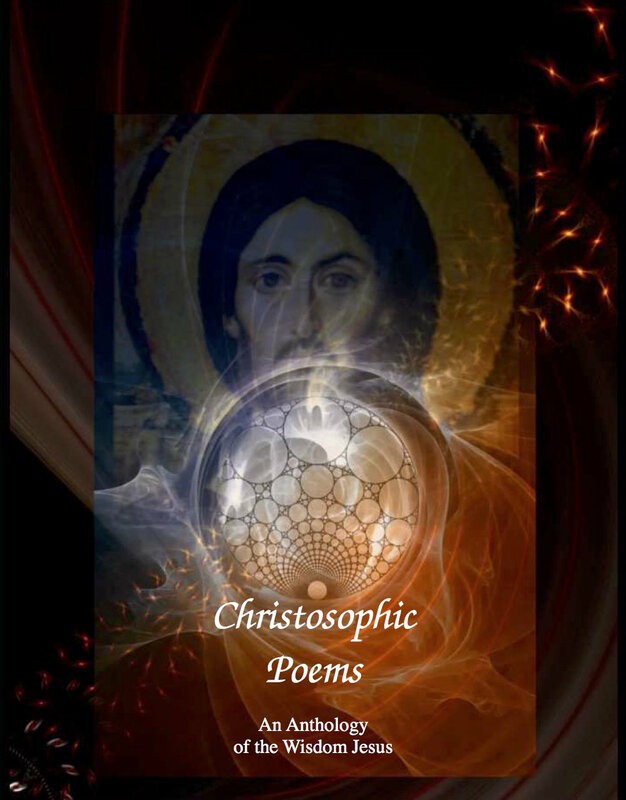 These poems expand and extend our understanding for they are spoken from the hearts and minds of visionary poets who have taken the words of Jesus into their being in order that they too might see and understand him in new and living ways. Most of the poets have lived and spoken in the modern world, but some come from other eras and outside the Christian tradition. We offer this anthology as a guide for contemplative prayer and contemplative living to all wisdom seekers who value the sapiential teachings of Jesus. The discovery of the Gospel of Thomas has created an immense flurry of curiosity and speculation. Is the text real? Are these the authentic words of Jesus? If they are, what does it all mean? This new translation is supported by material to help scholars and students alike explore these sayings in depth. Unlike other translations, Lynn Bauman's sensitive work is not simply a literal translation. Based on the principle of "dynamic equivalency," its purpose is to propel the reader/listener into an equivalent experience of language and meaning as the original Coptic text but in English, with equivalent cultural terms and ideas. It is therefore fresher, more poignant, more direct, and more understandable without being a paraphrase. In addition, the text has with it a reader's guide. Each saying of Jesus is accompanied by a section that includes Questions for Reflection, an academic translation of each saying, and notes dealing with translation choices. This enables the student/reader to make discoveries on his or her own through suggestions and questions for consideration, meditation, and journaling. Bauman brings this important "secret" gospel, with its radical view of Jesus as a Master of Wisdom, to life as a text to be utilized for contemporary spiritual practice. by Lynn Bauman and Michael Sciretti, Jr. In recent years, Christians from diverse denominational backgrounds are employing forms of contemplative prayer in their reflections and devotions. Some Baptists are incorporating elements of these prayer forms into their collective and personal expressions of worship and study. 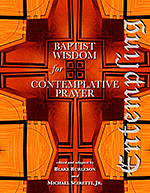 This resource book, edited and adapted by Baptist ministers Blake Burleson and Michael Sciretti, Jr., includes prayers and meditations from Baptist theologians, writers, pastors, lay leaders, and social advocates which reflect a primary calling to a devotional, unitive, or transformative experience in the Divine Presence. The original writings have been edited and adapted for public reading in contemplative worship or for private reading for devotional quiet. From John Bunyan to Roger Williams to Martin Luther King, Jr., these Baptist voices include American, Canadian, English, German, and South African men and women from the past four centuries. This resource is particularly anchored by five lesser-known Baptists: Gerrard Winstanley, Anne Dutton, Henry Alline, Muriel Lester, and Howard Thurman. Themes of divine companionship and communion, the cultivation of an interior focus, and resting in the inner chamber of the heart are evident throughout the voices of these men and women. Using the Jewish Temple as a basic framework, the readings take one on an inward-outward journey through the movements of conversion, invocation, illumination, communion, and reconciliation. Included at the end are two templets for crafting a personal or corporate experience of contemplative prayer using readings from the book. "The editors have plumbed a shimmering tradition and come up with a handful of spiritual jewels of various ages and hues. This book, which will find its place on many bedside tables, should be a helpful aid to persons of all denominations." "It has been suggested that for Baptists conversion is the end of the spiritual life. Burleson and Sciretti show that indeed conversion is the end—the front end. In this wonderful resource we are led by saints from the Baptist family on a pilgrimage that is contemplative and active as well as communal and personal. Those who join them will learn that though the spiritual journey may begin with conversion, it does not stop there." Using Kabir Helminski's Living Presence, this manual is designed for Christian contemplatives to assist them in understanding spiritual pilgrimage using Islamic spirituality and Sufism as a template. This handbook is a thirty-lesson course on practical wisdom and the common foundation which builds a discerning and sapiential life. We humans are called "homo sapiens" because wisdom or sapience is the basis for all our learning. In this text each lesson is built upon a short introductory statement and brief explanatory paragraph. These seek to clarify a particular principle of practical wisdom. In each lesson this opening material is followed by a commentary on the principle being introduced, questions for reflection, further brief readings for understanding, daily exercises and prayers. The handbook is designed particularly for individuals in a support group moving through each lesson as a shared experience. It is suitable for either men's, women's or mixed groups led by a mentor. It can, however, be beneficial for personal and individual use alone.